His words brought me back to 1970 when I was his age. Our plight wasn’t gun violence. Our crisis was the Vietnam War. At the time, the voting age was twenty-one. Tens of thousands of eighteen-year-old American boys were being drafted into the military for the Vietnam War while being denied the right to vote. We looked to the adults to do something. But they didn’t. We looked to Congress to do something. But they wouldn’t. So we bravely took matters into our own hands. 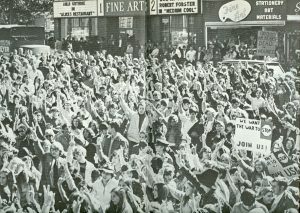 We took to the streets and participated in often-violent demonstrations. The tragedies associated with young Americans protesting against government authority tore our nation apart at the time. 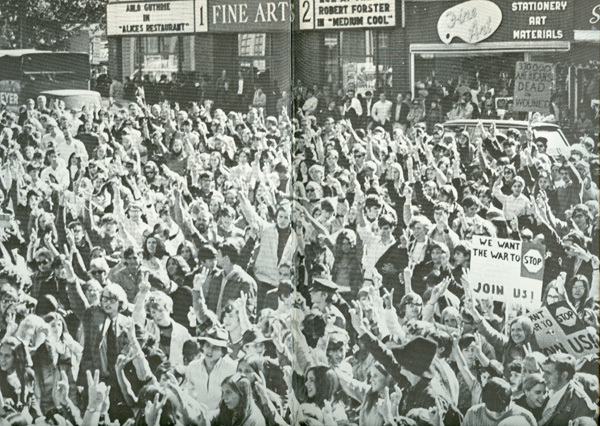 The most horrific incident involved the deaths of four students, and nine serious injuries on May 4, 1970, when members of the Ohio National Guard opened fire on a crowd at Ohio’s Kent State University. What most adults thought was a chilling message to the youth to stop protesting, only emboldened us. I was a proud but terrified participant in the explosive and tumultuous youth voting rights movement, which in the end changed the course of history for America’s young adults. “Old enough to fight, old enough to vote” became our shared slogan, and we never gave up our fight. Ratified in 1971, in a record 100 days, President Nixon formally certified the 26th Amendment to the U.S. Constitution on July 5, 1971, lowering the voting age from 21 to 18. And then the U.S. Military draft ended on 1/27/73. We did that. The proportion of young voters heading to the polls today has steadily and alarmingly declined since that historical time in 1971, and they all but vanish in off-year and local elections. Emma Gonzalez said she and fellow classmates are going to make sure people don’t stop talking about Wednesday’s shooting. Here is what I have to say to David Hogg and Emma Gonzalez. Don’t wait for the adults to do something. Don’t wait for Congress to act. The fate of your future is entirely up to you.